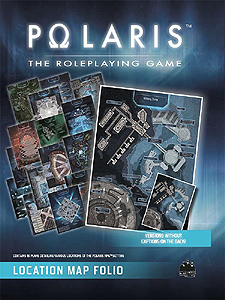 This map pack is a suppplement for the Polaris RPG! This pack contains 6 double-sided maps featuring different locations where underwater adventurers are likely to roam! On each sheet you will find a plan with captions on the front to help you prepare your adventures. On the other side, the same location is shown without captions so players can discover it during gameplay.